We appreciate that your pets are part of your family. Getting your four legged friends insured with us, means that you can get your pets all the treatment they need, without having to worry about any large or unexpected veterinary bills. A time-limited, low cost policy designed to help with the costs of veterinary treatment for injury or illness. Our Standard policy offers cover for up to 12 months per condition. Our Standard policy has a veterinary fee limit of £3,000 per condition. An enhanced level of cover as well as an extensive range of additional benefits. Maximum benefit polices have no time limit on claims, so you can claim year after year for an ongoing condition, up to the monetary limits for as long as you continue to renew your policy. We offer 3 types of maximum benefit cover with veterinary fees limits of £2,000, £4,000 or £7,000 per condition. Our most comprehensive type of policies that provide our highest level of cover and a range of extensive benefits. These policies are often recommended by veterinary surgeons. A lifetime policy provides the most peace of mind and the very best health care possible throughout the life of your pet, the limit renews every year for as long as you continue to renew your policy. We offer 3 types of lifetime cover with veterinary fees limits of £4,000, £7,000 or £12,000 per year. If my pet suffered from a condition that required long term treatment lasting more than 12 months would I be able to continue the insurance with you? It depends which of our policies you have purchased. If you have one of our Lifetime or Maximum Benefit policies, and provided there is no break in your policy cover, then you will still be able to claim for the treatment for as long as necessary, up to the monetary limits of your policy. If you have one of our Time-Limited policies you will only be able to claim for each condition for 12 months. After this period your pet can still be insured with us but we will exclude any pre-existing conditions from the policy and you will not be able to claim for these for the remainder of your pet’s life. At NCI, we understand the importance of dealing with claims quickly and efficiently; where possible, our policy is to settle all pet claims within 7-10 working days. In the event you need to make a claim, you can simply download the claim form you need. Alternatively, please call our Claims Department on 01423 535 057 and request a claim form to be either emailed or posted to you. 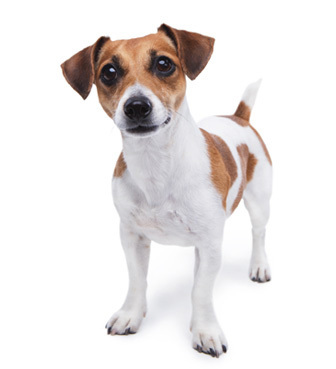 NCI Pet Insurance is a trading name of NCI Insurance Services Limited (Registered in England & Wales No. 04741145). Registered Office: 4th Floor Clarendon House, Victoria Avenue, Harrogate, North Yorkshire, HG1 1JD. NCI Pet Insurance products are sold and administered by NCI Insurance Services Limited, an Appointed Representative of NCI Vehicle Rescue plc which is authorised and regulated by the Financial Conduct Authority (Firm Reference: 307654). NCI Pet Insurance products are underwritten by either Aviva Insurance Limited or Covea Insurance plc. Aviva Insurance Limited. Registered in Scotland, No. 2116. Registered Office: Pitheavlis, Perth PH2 0NH. Aviva Insurance Limited is authorised by the Prudential Regulation Authority and regulated by the Financial Conduct Authority and the Prudential Regulation Authority. Covea Insurance plc. Registered in England and Wales Number 613259. Covea Insurance plc is authorised by the Prudential Regulation Authority and regulated by the Financial Conduct Authority and the Prudential Regulation Authority. FCA Number 202277.